Agents often get asked what is the best suburb for a prospective buyer. It can be tricky to advise as so much is based on opinion and personal choice, however with thousands of locals providing comments on everything from quality of life, to schools, noise, nightlife and crime, Homely's reviews can quickly discover the best place for you. We’ve made it easy to drill down into the hundreds of thousands of location ratings and reviews and today we are focusing on where is the best place for singles to live in Sydney. And don’t forget – if you don’t agree with our selection it’s easy to have your say! It has great schools and a quiet yet high neighbourhood spirit eating out and local amenities are a stone throw away." 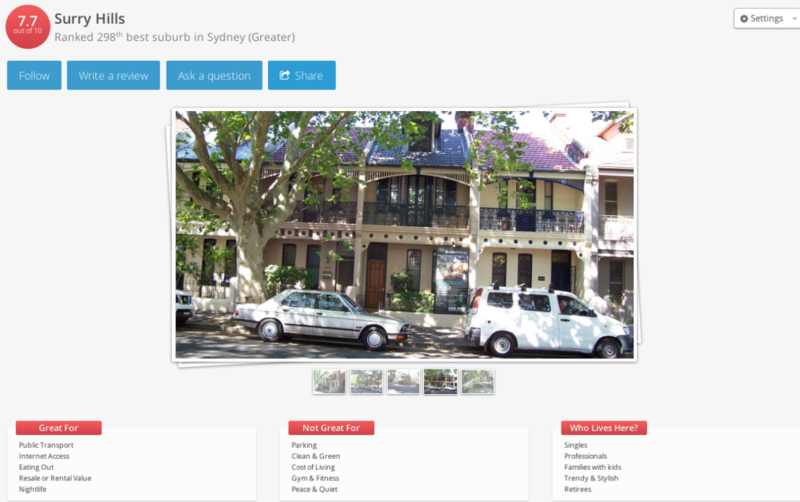 AdriankH said: Surry Hills is a nice tree leafed suburb located within walking distance of Sydney CDB. (a village in a city feel) This suburb is close to everything, parks, recreation, cinemas, pools, and a short journey to the beaches.. Crown street has a lot of restaurants, bars and cafes and good night life. The locals are friendly and this is a very social place. "Great place to live if you are single, hip and think out of the box"
FlyingDutchman said: Newtown offers everything from cheap good quality food to fantastic nightlife. Newtown is in the heart of it all and you are 2 minutes from the University, RPA Hospital and Medical Centres. Public transport is at your door step as well as schools, child care and major shopping centres. Parking would be the only down point and traffic if you want to live on King Street. Newtown is more for single, hip, educated, professional people who love to have a good time and socialize. It is also good for upcoming families if you can afford it but not much room to grow. Newtown is diverse and one must have a broad outlook on life, I love the place. We'd love to hear from you if you live in any of these suburbs or if this information helps you when you're making your decision on where to live. Feel free to tweet us your feedback and what you think of these suburbs on our twitter account here.